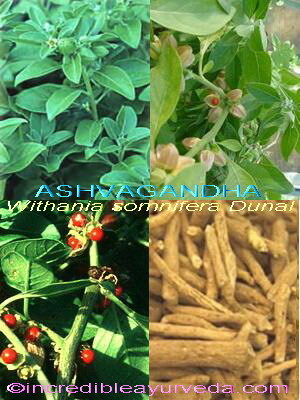 Medicinal Properties:: Ashwagandha is cultivated these days in parts of central and western India. The roots are used as tonic for brain and nervous system and in preventive health care.in Ayurveda. 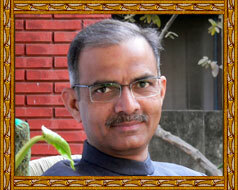 It is described as Medhya Rasayana (beneficial to the brain) in Ayurvedic literatures. Recent researches have observed that Ashwagandha acts as an antistress and adaptogenic herb. Regular use of Ashwagandha improves mental capabilities by enhancing the stress tolerance capacity. It is also known to stimulate immune functions. By virtue of these uses it is often referred to as "Indian Ginseng". Effect on Dosha:Pacifies Kapha and Vata.